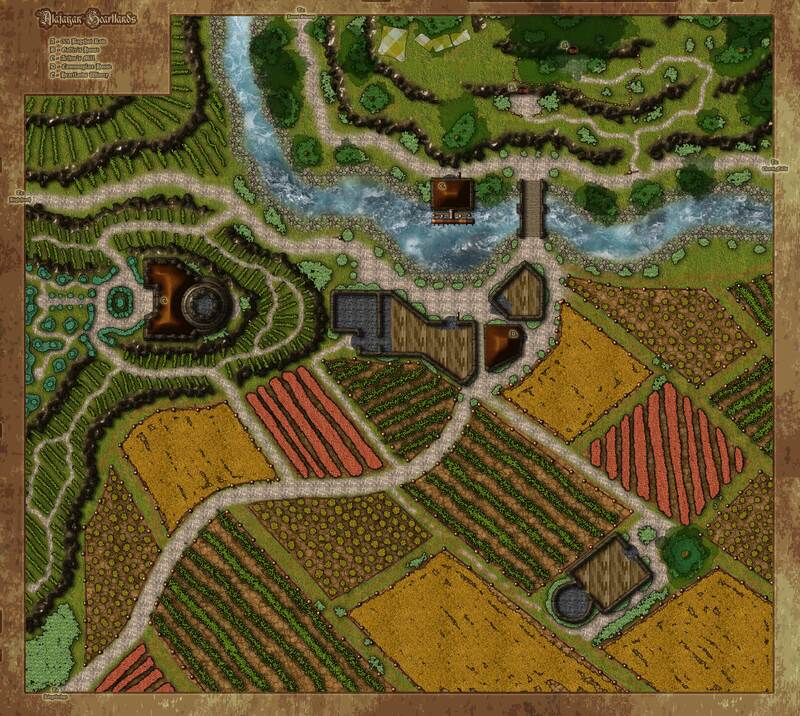 The Alafayan Heartlands are the breadbasket of the Kingdom of Ovid, home to the finest produce and wine. Visit the local pub, or head up the hill to sample the local noble’s new vintage! This was the first farm map I created. It was certainly the most colorful map I had made to this point, still unsure about it though.